At Keyes to Health, we take great pride in providing the finest chiropractic wellness care to our patients. Below is a sampling of the different chiropractic services we offer in our Pickering office. We provide advanced spinal correction utilizing "state of the art" chiropractic techniques. Never in the history of chiropractic have we been able to provide the level of help and expertise that now exists. These newer correction methods are even safer, more comfortable and more effective than ever before. As a Doctor of Chiropractic, Dr. Warren J. Keyes has years of training and experience in spinal adjustment. 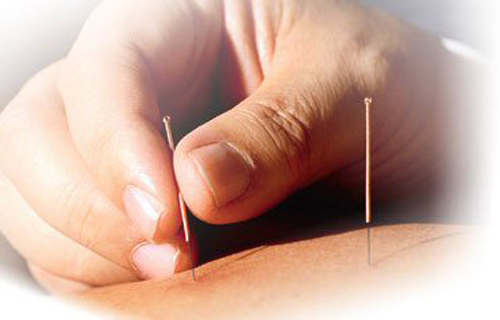 Acupuncture helps to restore health by stimulating or sedating specific points on the body with ultra-fine, sterile, single-use disposable needles. It is safe and effective therapy for both acute and chronic painful disorders involving the muscles, tendons and joints. Shoulder, elbow, knee and hip pain, back and neck pain, and headaches can all be helped with acupuncture! Dr. Keyes certified by the Acupuncture Council Of Ontario. Your feet have an important job; they carry you throughout the day, with every step making an impact on your body. If your foot functions improperly it will have an effect on joints higher up the kinetic chain (your ankle, knee, hip and spine). This may result in pain or discomfort. Custom Orthotics can correct the underlying foot malfunction, relieve pain, and allow you to live a more active lifestyle! At Keyes To Health we use the latest in Computerised Digital Gait Analysis. Click here to see a short video from the Orthotic Group regarding the benefits of custom orthotics. We provide specific recommendations on nutritional supplements and healthy food choices to enhance our patient´s return to optimal health. Do you know which supplements and vitamins are good for you? Our Registered Nutritional Consultant, Lisah Hodges, can provide a structured nutritional program based on your individual needs.